In baseball last night, the Paris Wildcats fell to Pittsburg at home 9–3. The North Lamar Panthers defeated Liberty Eylau 8–7 at Pos Long field. NL had an 8–0 lead before LE scored 7 straight, including 4 in the 7th. 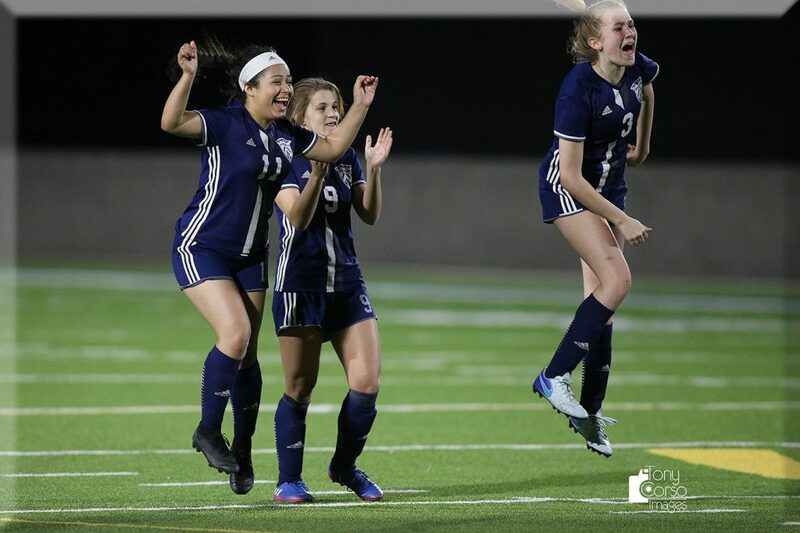 Last night in soccer playoffs, both the Paris girls and boys advance to the Regional quarterfinals later this week. The boys advance to play Kilgore after a 7–0 win last night. The Paris girls won in penalty kicks and will play Athens. Athens knocked out the NL girls 1–0 in overtime. The game was delayed two hours while waiting for officials. Russell Westbrook made history last night. The OKC Thunder guard became only the second player in NBA history to record a triple-double with at least 20 points 20 rebounds and 20 assists. Wilt Chamberlain was the other player. The Dallas Stars are headed back to the Stanley Cup playoffs after a 6–2 win over the Philadelphia Flyers last night. Alexander Radulov has four points for Dallas. Joey Gallo’s two-run single in the seventh inning was the deciding factor last night as the Rangers defeated Houston 6–4. Texas and Houston will play game three of that series tonight on 1490 AM and 96.3 FM KPLT. Pregame at 6:30 and first pitch at 7:05. The Dallas Cowboys are not sure when Randy Gregory will be able to play again, but according to NFLPA figures, they have extended his contract through 2020. In February, the NFL suspended Gregory indefinitely for violating the substance abuse policy and terms of his reinstatement. The Cowboys have remained supportive of Gregory, their second-round pick in 2015, throughout the process, and at the NFL scouting combine owner and general manager Jerry Jones would not rule Gregory out from playing at some point in 2019. Seattle Seahawks quarterback Russell Wilson, who is heading into the final year of his contract, has given an April 15 deadline for a new deal. The two sides have had recent contract talks, Seahawks coach Pete Carroll said at the owner’s meetings last week. However, sources say those talks are not thought to be too far along. The significance of the April 15 date is that’s the first day of the Seahawks’ offseason program, and one possible reason for that deadline is that Wilson wants his contract situation settled before getting back to work. Veteran defensive end Michael Bennett said he deserved a new contract before he was traded from the Philadelphia Eagles to the New England Patriots in March. The Patriots obviously agreed. The club has reworked the final two years of Bennett’s contract, which previously had a base value of $15.7 million, to increase its base value to $16.75 million. After eight weeks of games and less than one season into its existence, the Alliance of American Football is suspending operations. The league had been struggling from the outset. After the first week of the season, Tom Dundon — owner of the NHL’s Carolina Hurricanes — pledged a $250 million investment and essentially became the AAF’s owner. Atlanta Braves outfielder Ronald Acuna Jr. and the team are finalizing an eight-year, $100 million contract extension. The deal includes a $10 million buyout on two options that are worth $17 million each. The new contract starts this year. Acuna was making $560,000 this season. The 21-year-old won the National League Rookie of the Year award last season, batting .293 with 26 home runs and 64 RBIs. The Washington Wizards have fired president Ernie Grunfeld, the team announced. Washington is next to last in the Southeast Division with a 32-46 record and has been eliminated from playoff contention.